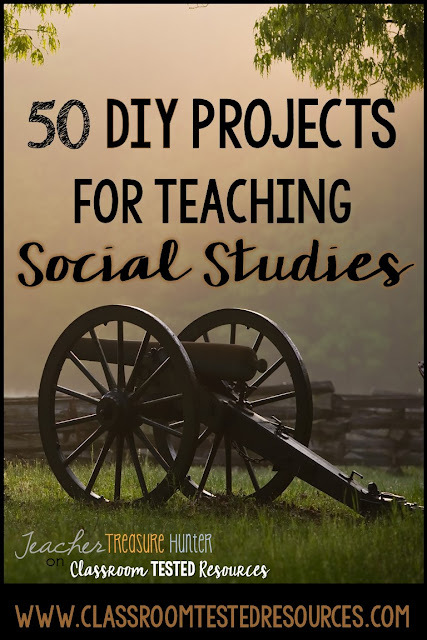 These 50 DIY projects can breathe new life into Social Studies lessons. We think of DIY for the house and maybe even for classroom decor (the popular crate seats and teacher toolkits come to mind! ), but we rarely think of it for our lessons. Kids love DIY! Whether you are learning about ancient civilizations or studying the Civil War there are so many ideas just waiting for you on pinterest. The problem is that many of them aren't tagged to come up in a search for teaching materials on that particular subject or they are hard to find in the search results. I'll give you some search tips, ideas for implementing DIY in your lessons and a huge list of DIY projects to get you started. If you don't see good search results within the first several rows of a search, then try a different set of search terms. Another obstacle for DIY can be the implementation. Arts and crafts can get messy! Also, they need to learn the skills to do these types of projects. They often need help with learning how to do fine motor skills like folding paper precisely or cutting neatly. Of course, they often need even more practice with listening carefully and following directions! Through DIY, they can build these skills. It's always good to start with easy projects. Make the project ahead of time so you know the skills required and they have a sample. If you think it will require you to help many of the students then work in small groups. It could be part of the daily rotations for a small group to come and work on a project with you. As they become more skilled, give them greater responsibilities. They can figure out how many supplies are needed for the whole class (build math skills). If you don't have supplies, perhaps the parents could bring in what is needed for a project. Let the students divide the supply list and write the letters to parents requesting items. 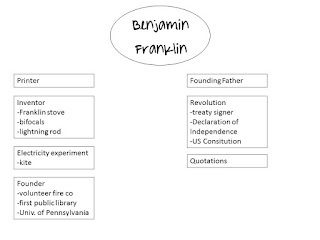 Clearly tell the students your expectation for each project. Are you looking for creativity? neatness? completed project? 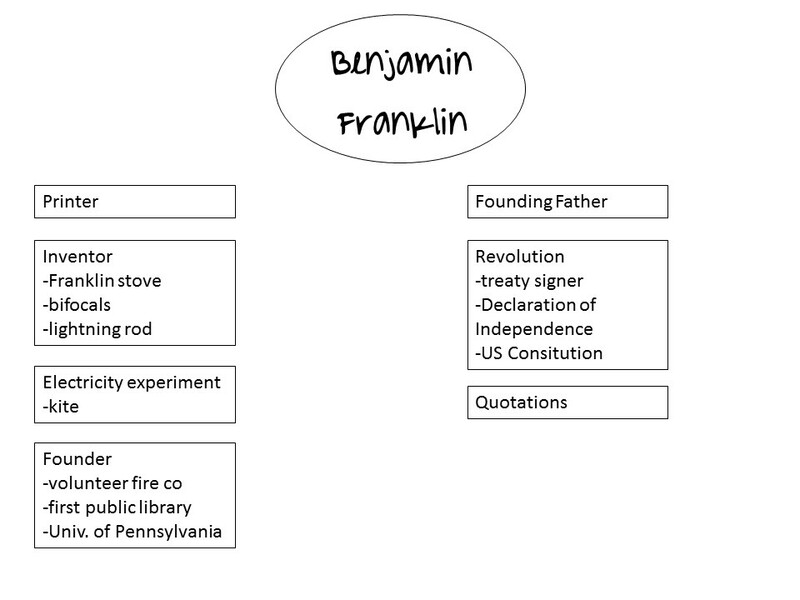 Follow the advice of Ben Franklin and plan, plan, plan! And now for the list! 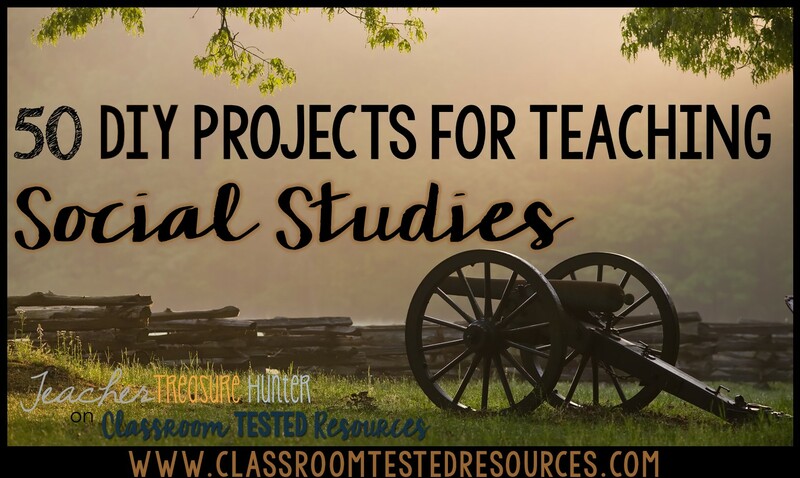 I've already shared some ideas on how to search for projects, so if your particular lesson isn't on this list you can probably still find some projects. Just put those search skills to work! Pin this post so you can find this list when you need it! Just hover over the image below to add it to your pinterest account. Thanks for reading! Follow me at teachertreasurehunter.com for more teaching ideas. I'm planning on doing a series of posts like this with ideas for other subjects. It will be a fun way to get new ideas during the summer!